In this week's lesson we'll be taking a look at a slight variation on Lesson #37 (3rds and 7th Singing Exercise pt.1). In our last lesson we took simple 3rds and 7ths voicings through all twelve keys using the circle of fourths. This time we'll use a pattern of ii-V-I resolving in descending whole-tones. I find this progression to be much easier to sing through than the circle of fourths. There is less jumping around and the voice leading from key to key is generally much smoother. This exercise is simple but essential to any pianist (or jazz instrumentalist) wanting to improve their understanding of chord progressions. The cycles we've been practicing and the resolutions of 3rds and 7ths voicings can be found in every jazz standard ever written. Even most contemporary compositions retain these foundational building blocks of harmony. Work through the steps in the exercise slowly and soon you will be able to hear these foundational elements of harmony clearer than ever before. For an added challenge start playing the 3rds and 7ths voicings in your left hand. Resolve them the same way as Lesson 37/38 and try to incorporate them in to the tunes you're working on. 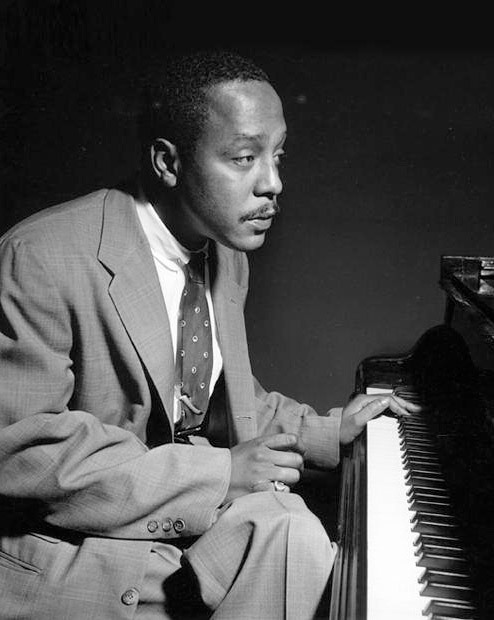 All the great jazz pianists including Bill Evans, McCoy Tyner, Bud Powell and Herbie Hancock used these simple voicings. We'll continue to discuss how to use them while improvising in the following weeks.